Ahh, winter vacation. Something that teachers often look forward to in order to enjoy a well deserved break! However, I know that sometimes this means our students are getting perhaps a larger break from learning than we want them to! 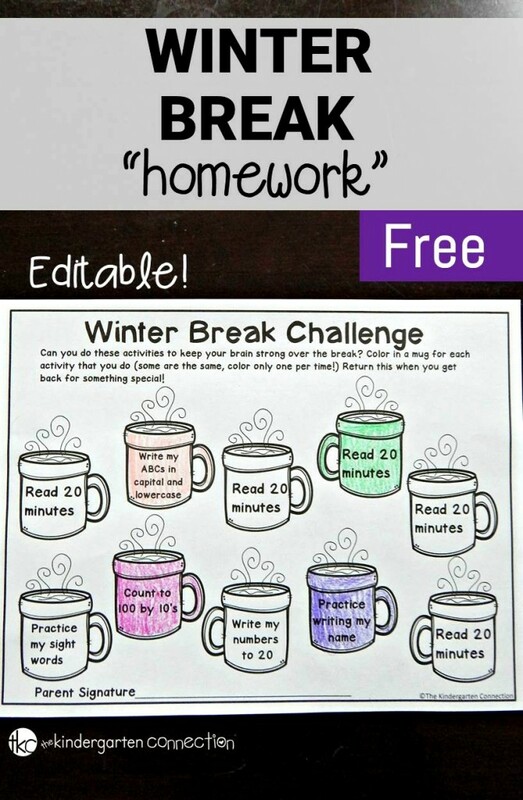 This fun, free, and editable winter break homework provides a great way for students to keep up some skills and good habits over break, all while still enjoying their time off! However, I also know that several of them may not do any reading at all over the break (and we know how important reading is!) Unfortunately, this sometimes happens to the ones who need it most. Note: I also allow all students the chance to complete the sheet with me for a prize, especially if I know of any situation where they maybe didn’t have parent support to complete it. 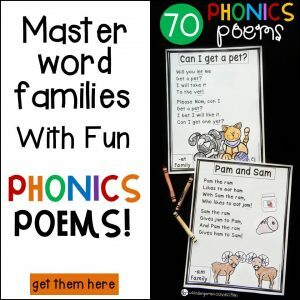 I will count with them, help them with sight words etc. and count it as extra practice when they return so that they can feel proud of accomplishing it too! The students complete the various tasks on the mugs, and color them in as they do! Easy! Yet still educational and important! 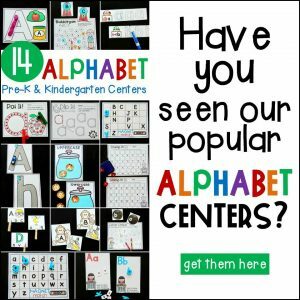 Maybe you don’t teach Kindergarten, or maybe you prefer to have different directions at the top. Good news is that this document is now completely editable! That’s right, you can type in your own directions as well as your own tasks on the mugs! You can download your own editable copy of the homework by clicking the yellow button at the end of the post. (note: you need to have PowerPoint). 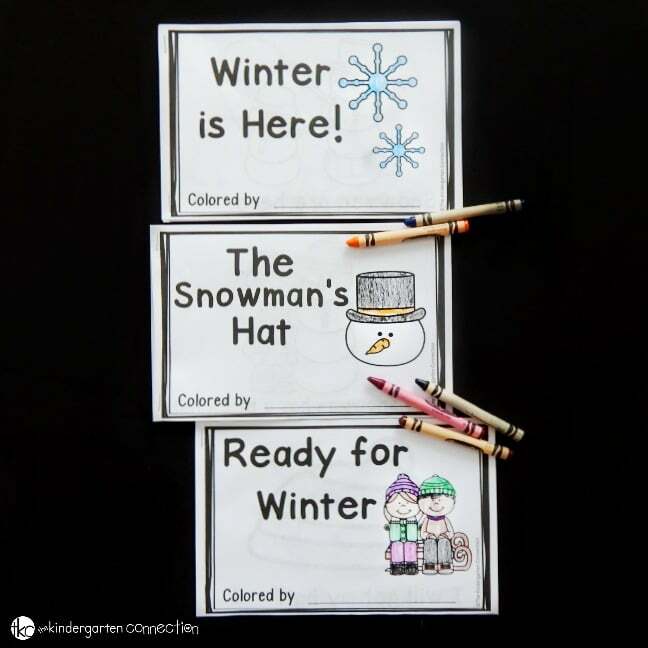 Then, hop over and print some books to send home with your students too with our Winter Emergent Readers! Could you share the source of your font in the editable document please? Thanks! Oh dear. How did I miss that? I even checked to see if the font source was provided in the document. Thank you for pointing it out and providing the direct link for me in your reply. 🙂 Guess I’m just having one of those moments (or days or weeks — lol). No worries at all Chris! It’s December, that is reason enough! December is crazy for teachers! 🙂 Have a great week! Thanks Rachael! I felt the same – the kids totally need a break, but this kind of gave an idea of some activities to try too if the parents wanted to give it a go! 🙂 Plus, since it’s editable, you can put good ol’ playful activities on there too, whatever you like! You always have such great ideas. Thanks for sharing so many with us. Thank you so much for making this editable! I’m a bilingual teacher and now I can make a Spanish version for my students and their families! This is wonderful, Barb! This makes our hearts so happy. 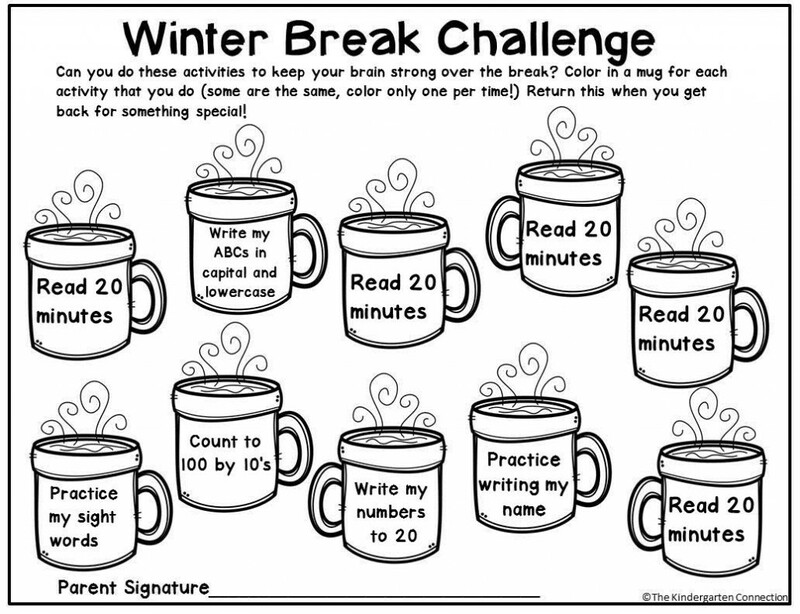 Have fun with the Winter Break Homework Printables! Do you have a spring break version of this? That is a wonderful idea! I will pass the message along to Alex and see if this is on our spring plans! I’m also looking for the Spring Break Challenge! The Winter Break Challenge was great and very effective motivating my students! We start Spring Break soon! 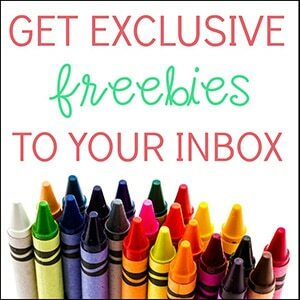 Check your inbox for a message from me. : ) I just finished up the spring challenge for the Sunday Surprise today and will be putting it up on the blog later, but I sent a copy your way via email. 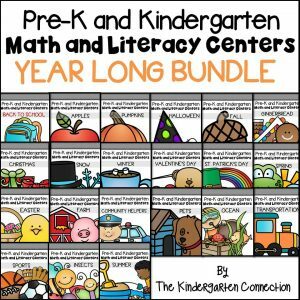 So glad you will able to use it either this year or next! The Spring and Winter Break Challenges are fantastic! Thank you so much for helping my students motivated to practice their new reading and writing skills!